In BETTY WHITE: FIRST LADY OF TELEVISION, Steven J. Botcher, the film’s director and producer, “traces Betty’s remarkable career, from her early days in radio to her first TV series as co-host of a live, five-and-a-half-hour, six-day-a-week variety show.” From 1953-1955, she produced and starred in the pioneering sitcom “Life with Elizabeth”, and was a popular TV personality throughout the 50s and 60s. In the 70s Betty won two Emmys for her role as “Happy Homemaker” Sue Ann Nivens on “The Mary Tyler Moore Show.” She followed that up with another Emmy in the mid-80s for her role as Rose Nylund on “The Golden Girls.” In 2010, Betty made history – once again – when she hosted “Saturday Night Live” at the age of 88 – and won yet another Emmy. 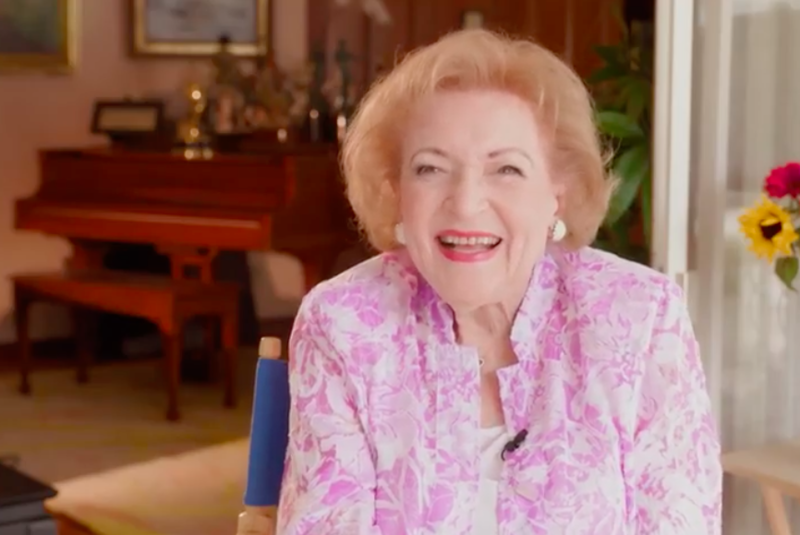 BETTY WHITE: FIRST LADY OF TELEVISION premieres Tuesday, August 21 (Times Vary by Location, Check Local Listings).